Lab suppliers working to meet researchers in New York City have the opportunity to participate in top quality life science marketing at Mount Sinai School of Medicine with Biotechnology Calendar, Inc.’s upcoming New York life science events. Our Mount Sinai BioResearch Product Faire™ Event will be held on March 26th, 2014. 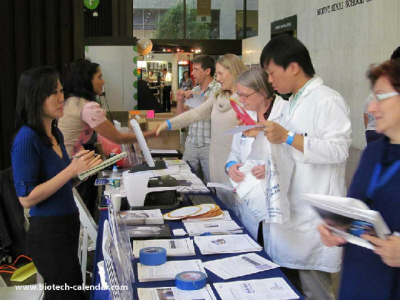 Biotechnology Calendar, Inc. organizes life science events on campuses where universities are well-funded and engage in groundbreaking research. Our life science events are valuable to exhibitors because we attract an engaged target audience to our shows. Our connections on campus ensure that audiences come to our shows prepared with a positive image of the vendors we work with. Lab supply companies can enhance their brand in a relaxed, yet professional atmosphere with all the comforts of a catered lunch and the excitement of door prizes. Our advertising at Mount Sinai School of Medicine ensures that companies who exhibit at this event are seen as a part of the local research community before their sales reps step foot inside the event venue. 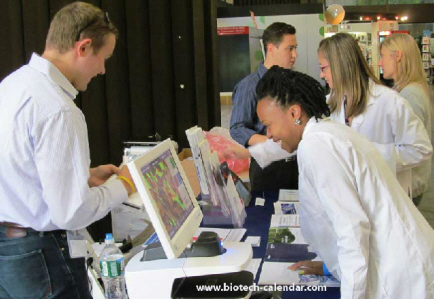 Biotechnology Calendar, Inc. provides extensive publicity to exhibitors at our events. Companies exhibiting at our Mount Sinai life science event will benefit from event laboratory announcements, e-mail invitations, online publicity, event program publicity and sponsorship opportunities. Lab suppliers interested in taking advantage of Biotechnology Calendar, Inc.’s life science marketing services at Mount Sinai School of Medicine can purchase during our Fall Special Promotion up until November 1st, 2013 for great deals and added marketing value. For more information on our Fall Special Promotion, please read our blog Lab Suppliers Take Advantage of Fall Special Promotion to Get More Exposure. Lab suppliers interested in working to meet researchers at Mount Sinai will find that it is situated within a wealthy market. In 2012, the NIH awarded Mount Sinai $178.7 million in research funding. In addition to the $178.7 million awarded by the NIH, Mount Sinai received $510,555 in research funding from the NSF in 2012. For more funding information on Mount Sinai School of Medicine, please read our blog Research Funding Totals $179.2M at Mount Sinai. From the statistics above, it’s evident that Mount Sinai School of Medicine is a well-funded market for lab suppliers interested in New York life science marketing and working to meet researchers. Biotechnology Calendar, Inc. invites all lab suppliers to network with researchers, lab managers and purchasing agents at our Mount Sinai BioResearch Product Faire™ Event on March 26th, 2014. In 2012, our Mount Sinai BioResearch Product Faire™ Event attracted 336 attendees. Of those who came, 138 were purchasing agents, professors and post docs, and 41 were lab managers. The attendees came from 11 different research buildings and 56 departments across campus. Biotechnology Calendar, Inc. is a life science events- planning and marketing company that has been producing on-campus trade shows at top research institutions for 20 years. If you are interested in life science marketing at Mount Sinai and working to meet researchers at life science events closer to home, we encourage you to view our 2014 calendar of events. For more information on our Mount Sinai BioResearch Product Faire™ Event, or to view more funding statistics for Mount Sinai School of Medicine, click on the button below.